Bring water, vinegar, pickling salt and brown sugar to a boil in large pot. 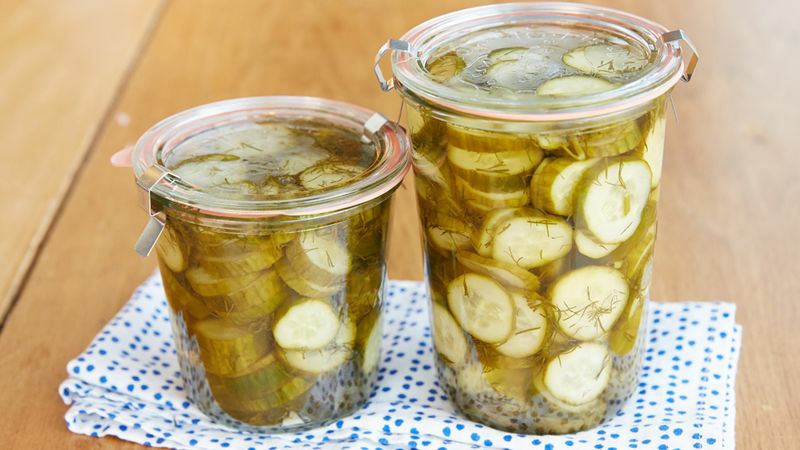 Wash cucumbers and slice lengthwise or into coins. Add to gallon container (an ice cream bucket works great). 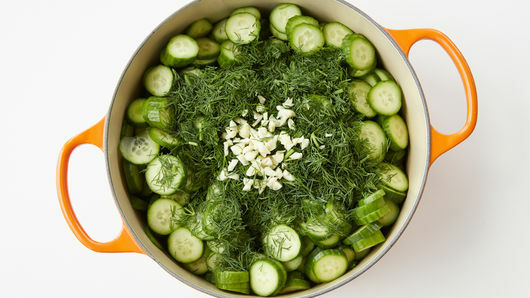 Chop garlic and dill and add to container with cucumbers. 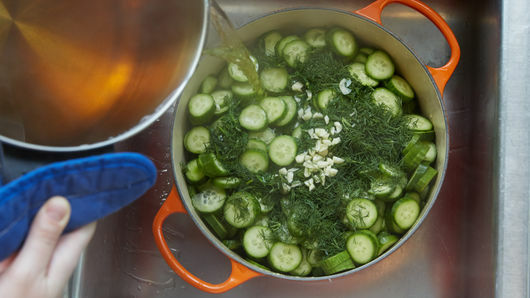 Pour boiling mixture over the cucumbers. Let cool for an hour or so. Cover and refrigerate for at least 1 1/2 - 2 days and no more than 2 weeks. 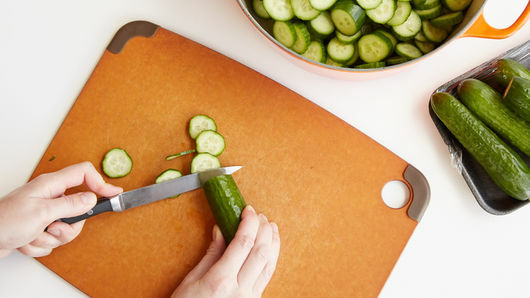 You can also slice the cucumbers into hamburger type slices or keep them whole. The choice is yours!